Stitched with DMC Color Variations threads. 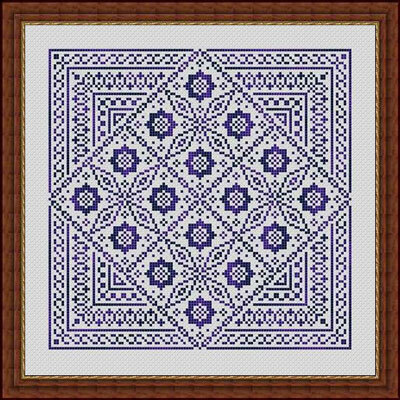 Stitch count is 117 w x 117 h.
Any variegated or solid color thread may be used to stitch this design to your personal taste. This design is easily converted to needlepoint.